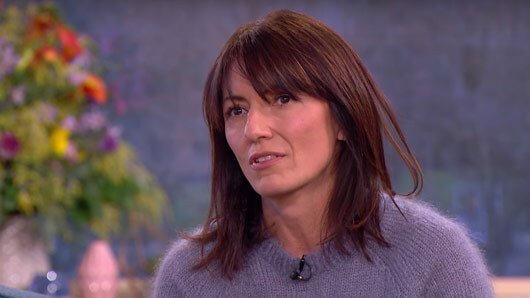 Davina McCall and her husband Matthew Robertson have chosen not to discuss their break-up in public for the sake of their three children, Holly, Tilly and Chester. The TV presenter appeared on ITV’s This Morning today to talk about her new fitness DVD, but was keen to address the elephant in the room first. Speaking to hosts Holly Willoughby and Phillip Schofield, Davina explained: “Just for the record, because I think people might want to ask me about it … I know, they would think it was weird if you didn’t. But for the sake of our kids, we’ve decided that we’re just never going to talk about us. Davina also addressed an Instagram post she recently shared, in which she reached out to anyone “feeling lonely” over the Christmas period. Explaining how the post had been misinterpreted by her followers, Davina said: “I’d done that before. But I guess, naively, I hadn’t really thought of the assumptions that would be made from making that video. “I do always think about single people, people that are alone on those big days, like Valentine’s Day or Christmas Day or New Year’s Eve, when you’re supposed to be having the best time ever. “And you look at Instagram and everybody is having the best time ever – they’re all probably lying. But it can be an incredibly lonely time, even if you’re with a huge group of people if you’re in the wrong head space or whatever.